The first day of the fall semester on Aug. 26 will no doubt be filled with excitement for the thousands of new and returning students at the C. T. Bauer College of Business, including the 2013-2014 class of Bauer Excellence Scholars. These students are recipients of scholarship awards from The Bauer Excellence Initiative, a recruiting scholarship campaign launched by Bauer College in 2012 that provides funding of up to $10,000 per academic year for highly qualified applicants. The Bauer Excellence Initiative provides scholarships to both undergraduate and graduate students within the Bauer College. Bauer Excellence Scholars represent a diverse group, with a range of interests in studies, research and future career, but one thing unites them — a drive and passion for the pursuit of excellence. Incoming freshmen Christian Madison and Sarah Nguyen are part of the 2013-2014 group of Bauer Excellence Scholars. Madison graduated from Glenda Dawson High School in Pearland, TX, with the school’s Distinguished Achievement designation and part of the top 15 percent of his class. He enters Bauer College with the hopes of obtaining a bachelor of business administration degree from the college’s nationally ranked Wolff Center for Entrepreneurship. He also participated in the 2012 Bauer Summer Business Institute as a rising senior and came back to campus this summer to serve as a student counselor for the 2013 installment of BSBI. In addition to support from The Bauer Excellence Initiative, he has received the UH Academic Excellence Scholarship and is a student in the Bonner Leaders Program at the university. 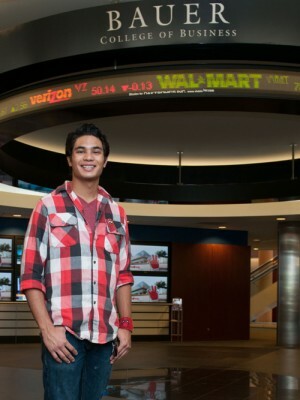 Along with his academic achievements, Madison is a successful young musician and actor. While attending Dawson, he was part of the school’s Ovation Theatre and won All-Star Cast Member at the state level for Texas University Interscholastic League State AAA theatre competition. Nguyen graduated from Bellaire High School as an AP Scholar with Honors and a National Merit Commendation. She earned a varsity letter in high school swimming and was chosen to serve as captain of the swim team in her senior year. She also was active on the Bellaire yearbook staff, serving as editor-in-chief as a senior. 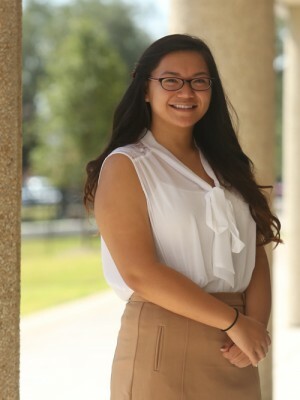 As a graduate of Bellaire, a language magnet school, Nguyen says she is excited about the possibility of participating in a study abroad program during her time at Bauer College. The decision to attend Bauer was somewhat of a family affair for Nguyen, whose older sister Liz graduated from the college and shared her positive experience. “After sending my two sisters through college, supporting one to continue to medical school, and still having my brother and myself to put through school, I can assure you, my parents and I are extremely grateful for receiving the scholarship from The Bauer Excellence Initiative,” she said. “I will use this scholarship to make something of myself for my family, the college and the university,” Nguyen added.